China has Alibaba, Malaysia has Lazada for online shopping experience. The growing of e-commerce may have boosted national courier Pos Laju to a new height. Imagine of thousands of large and small parcels needed to be delivered to homes were not an easy task to be fulfulled. Lazada may considered the first and highly advertised successful e-commerce company in Malaysia. The success of Lazada brought huge investment from Alibaba. When Lazada first opened its e-commerce store, there were very little china made products and there were no big tab sign written "taobao". Clicking into the tab would result to a new page full of taobao owned products. Taobao vaguely means in mandarin "roll for treasure". E-commerce may have high influence on future cashless society. If there were no major failures in comsumer-to-machine transactions or historical flawed in bank's cards, the future generation will no longer accepting cash as a norm to purchase anything. Although younger generation prefer goes cashless, they needed to know machine sometimes overloaded, overheated or has to undergo long maintenance time just like the bank's ATM. Headphone gadgets are always has low lifespan. I have used many headphones throughout my life. Neither were Samsung, Huawei and Remax lasted a lifetime. Not to mention countless of counterfeit headphone products. 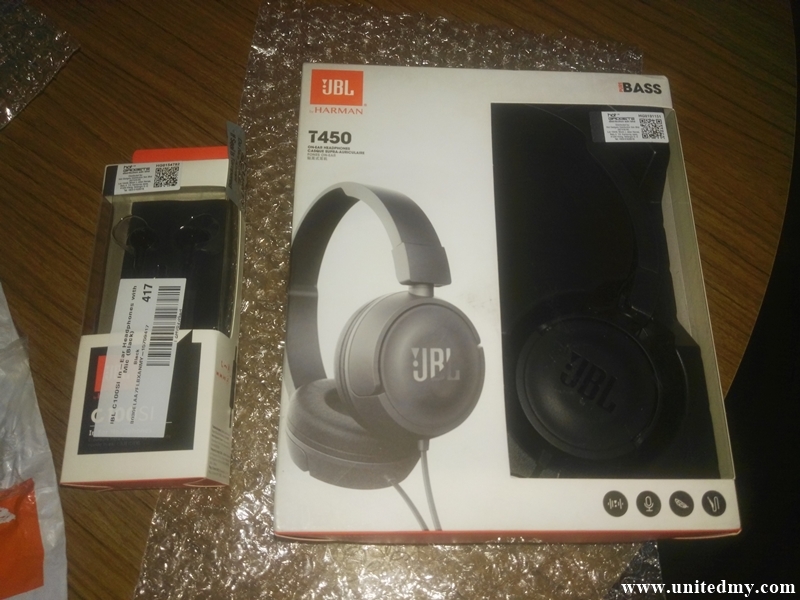 In 2018, before celebration of Lunar new year, I am really fond to get JBL headphones. However, the original imported JBL headphones were really expensive. It could easily cost anyone RM100 and above. The good thing about Lazada is that, every consumer could leave bad or good feedbacks. Unlike traditional way of engaging a sales assistant for a review. Of course, some sales assistant would just simply give everything they are selling a good reviews. JBL products in Lazada has more than 100 reviews and most of them are positive. I have known Lazada mobile for a really long time but never get to use it. 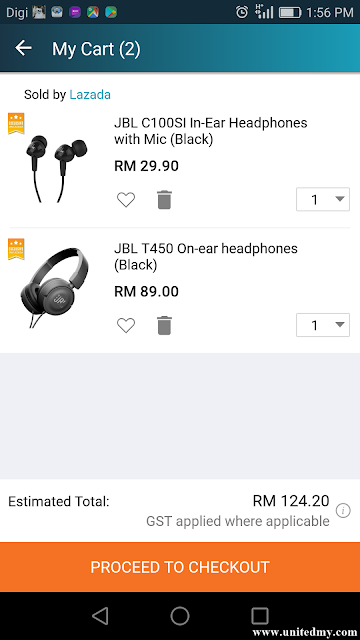 The simple app has almost all the features as comparison to visiting Lazada on a PC. You will be suprised how fast they deliver the products to your home. The fastest I have truly experienced was 3 days. To be honest, most people pay in advance rather than using "Cash on Delivery" option. This feature allows buyer pay on the meeting spot. 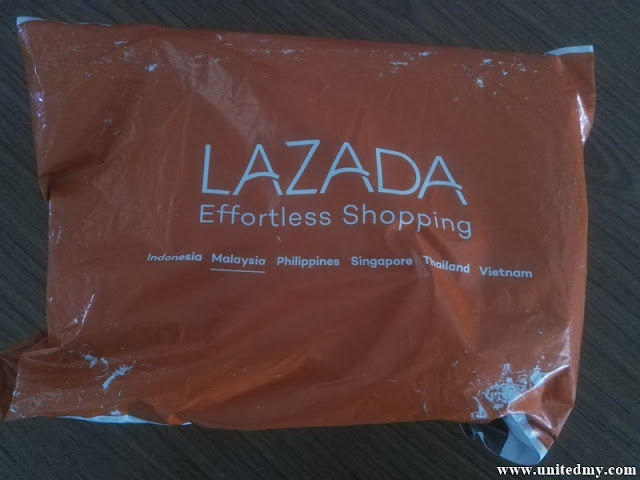 Lazada could fulfill any orders nationwide as long as there were pos laju nearby or you could opt getting your products at the nearby courier company such as Gdex. 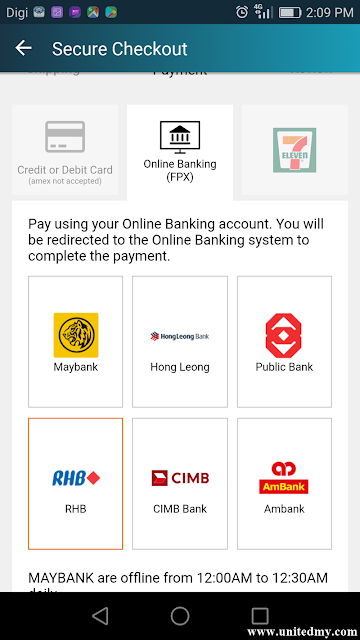 Choose your bank wisely and remember you must have online banking for FPX service. FPX has some really good preventative measures for example, phone notification, rhb bank website verification and phone code verification. 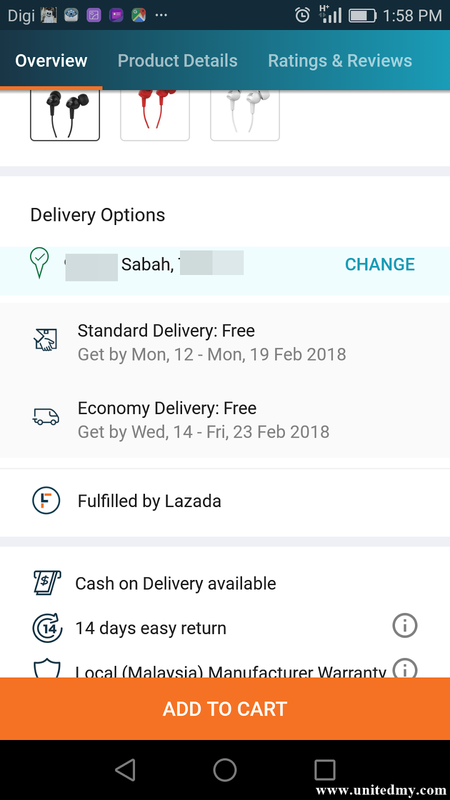 If you are wondering does Lazada accepting order from Sabah, the answer is yes. Some people are curious as online shopping is for the city folks who does not want to drive all the way to shopping mall and cause traffic congestion or pay a hefty parking fee. If you are unsure or you are living in rural areas you may just write your phone number and nearest courier company as if the products has arrived they may give you a phone call. Happy shopping and hope you will find this helpful to your problem.